Kathmandu Nagarkot Dhulikhel tour is popular tour package in Nepal. 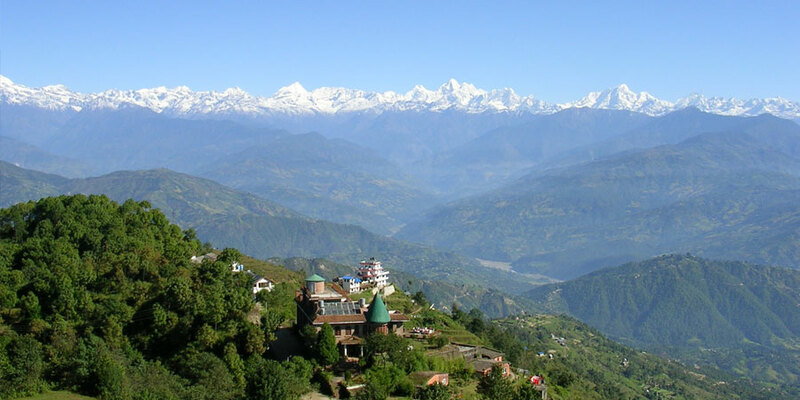 Nagarkot Dhulikhel tour offer superb Himalayan views including the top of the world ( Mount Everest 8848m), Langtang, Gaurishanker Himalayan range, beautiful landscape, mixed culture and nice terrace fields. Dhulikhel Nagarkot tour fit for all age group travelers who has less then one week holidays in Nepal. Nagarkot Dhulikhel package tour include sunrise and sunset tour in Nagarkot & Dhulikhel. Nagarkot Dhulikhel package trip is only one tour in Nepal with in short period view of Mt. Everest and other two different Himalayan range. Nagarkot Dhulikhel tour package begins from Kathmandu. Himalaya Journey tour guide take to you Kathmandu valley tour first two days then drive to Nagarkot for sunrise and sunset Himalayan views. After breathtaking Himalayan views from Nagarkot, our guide take to you Dhulikhel for superb Himalayan views of Rolwaling and Gaurishanker Himalayan range. Dhulkhel is famous for Local Newar culture and Hindu goddess temple. After sunrise views at Dhulikhel, drive back to Kathmandu. Travelers may extend their journeys after complete Dhulikhel Nagarkot package trip for Mt. Everest mountain flight tour / Nepal mountain flight tour. we Himalaya Journey trekking arrange personalized tour service in Nepal with amazing life time experience ! Day 05: After sunrise views in Nagarkot, Nagarkot drive to Dhulikhel. Dhulikhel is 2nd best view center near by kathmandu also 30 kilo meters far from kathmandu where you will enjoy with different Hindu temple and pure local Newari culture + beautiful Himalayan scenery of Gaurishankar 7145m, Dorje Lakpa 6988m, Langtang Lirung 7246m, Ganesh Himal 7604m, Rolwaling Himalayan region. Overnight at Dhulikhel . Day 07: After breakfast, shopping or relaxing with own activities then three hours before your international flight , Himalaya Journey Trekking airport representative will drop to Kathmandu international airport for onward journeys or if you have time will arrange any package trip on your request.